Established in 1946, the Central Branch has played a leading role in the formation of The Supporters Association, in which they still actively participate. The branch is run primarily by an executive of Jim Frame (President) and Christopher Hutton (Treasurer). Membership of the Central Branch costs are £15 for adults and £10 for juniors (under 16’s). It also entitles the holder to additional benefits such as guaranteed briefs for all-ticket matches and an invitation to the annual Player of the Year Dance. On match day, the bus leaves from The Bentley Hotel (which is located in close proximity to the Heritage Centre) which of course is in the heart of Motherwell near the shopping centre. The Central Branch are happy to arrange to pick up supporters from a variety of points if they are on route to our destination. For more information or to join the Central Branch please contact Jim Frame on 01698 299650 or email christopher_hutton@btinternet.com. The branch was re-formed after a meeting in August 1994 as Bellshill and District. The previous branch had floundered due to lack of funds and members. The name was later changed to Bellshill and Holytown before Uddingston was added in 2000. The branch president is Bobby Condie, Treasurer Liz McDade and Secretary Brian Worton. Membership costs £5.00 for adults and juveniles (under 16s), and all proceeds go towards providing fans a safe and efficient way to travel to away games. Branch pick up points for away games are the Holytown monument, Bellshill Carousel Bar and Uddingston train station. The Bellshill, Holytown and Uddingston Branch travel with G.E.M. coaches and are always on the lookout for new members. Meetings are held on buses at away games with the exception of A.G.M’s which are held at pre-arranged venues. They hold an annual Player of the Year Dance which has been a regular feature since the end of the 1994/95 season, other events are generally held throughout the year. Please contact Brian Worton Tel. 01698 747644 for further information. The Fife and Tayside Branch is the newest Supporter Association, set up in September 2010. Its members come from Mid/North Fife and Tayside. Members currently car share to games, and social events and regular meetings are held throughout the season. Membership is £10 for adults and £5 for Under 18s and OAPs, new members are always welcome. 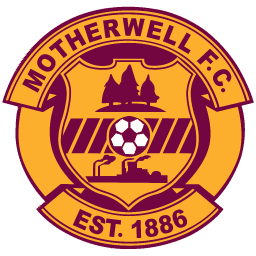 The Wishaw branch is one of the oldest within the association and has the largest membership of Motherwell Supporters Associations. The branch has a joining fee of five pounds for adults and is free to juveniles and OAP’s. Membership gives low cost transport to all away games. Member prices are available to members of other branches by showing proof of membership. Membership can be obtained either on the bus or by attending the meeting on Monday nights between 7.30 and 8pm at Pather community centre. The association also runs the odd free bus (funds permitting), a free prize draw at Christmas with cash prizes for the adults and club merchandise for the juveniles and in the past have had various functions including quizzes, and player of the year dances. For more information, you can email the Wishaw Branch via Andy Sim andrew.sim48@btinternet.com. The East of Scotland branch was formed in 1994 by like-minded fans who happened to live on the ‘other side’ of the country. The branch has members living in the Borders, the Lothians and Fife. Meetings are held on the second Thursday of each month in the Corn Exchange Bar, New Exchange Road, Edinburgh and new members are always welcome. The East of Scotland Branch Secretary is Colin MacNair tcmacnair@hotmail.com and Chairman is Iain Mayer – iainmayer@hotmail.com. Membership costs £15.00 for adults and £10.00 for juveniles (under 16s), which allows fans subsidised travel to away games. A monthly newsletter is produced and circulated to the members, who can enjoy social events such as Christmas and end of season dinners. If you live in the East of Scotland you are most welcome to join the branch. The East Kilbride branch is unique in that they are the only group running buses to home games in order to accommodate disabled and young supporters. Membership costs £15.00 for adults and £10.00 for juveniles (under 16s), with fans of all ages encouraged to join. As well as providing transport to home games, they also run buses to away fixtures depending upon demand. For more information please contact Brian Crawford on 01355 237367. The Aberdeenshire / Gaidhealtachd Dossers have been running since 2007, making most of the games during each season. Their main transport is the train from Aberdeen however car sharing is used and in 2011, they ran a bus to the Scottish Cup Final versus Celtic. Anyone interested in joining Motherwell FC Disabled Supporters Association please call Brian Davidson on 07428 225254 or tickets@mfcdsa.com. Membership is open to any disabled person or individual who feels that they may be able to contribute to the objectives of the MFCDSA and support disabled people. Formed under the auspices of CAFE – Centre for Access to Football in Europe a UEFA backed organisation, the association aims to assist MFC improve the facilities at Fir Park and match day experience for all disabled supporters. Do you run a supporters club or have any additional information you would like to add? Please contact us.